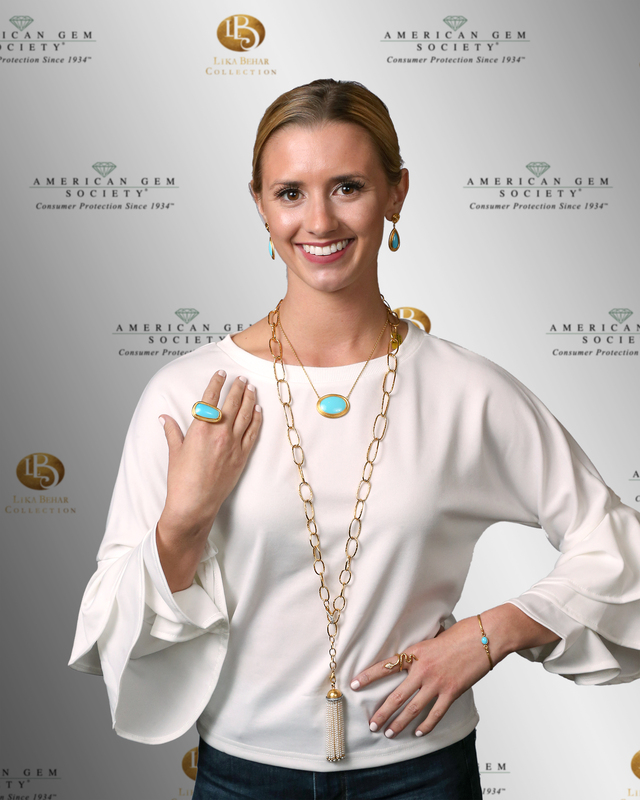 Jewelers Mutual Insurance Group, in collaboration with the American Gem Society, has created a handy, go-to guide for birthstones. The guide features interesting facts about each birthstone and how to care for them. Click here to learn more! Historically speaking, March is an unusual month. It’s a time of transition, from winter blues to the summertime blue of swimming pools. It’s a windy month, too, and the weather can be fickle as one day is cold and the next is warm. It’s supposed to be the first month of spring, but sometimes it feels like the final month of winter. 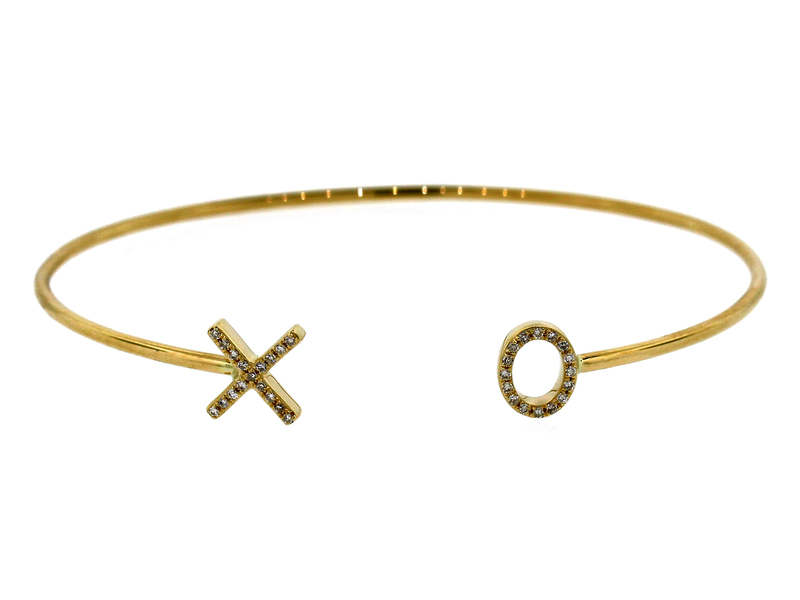 Despite the ups and downs of March, there is one bright, shining and beautiful factor. Aquamarine. It’s a word which evokes the sea. Beautiful aquamarine gems. Courtesy of Suna Bros.
Aquamarine is most often light in tone and ranges from greenish blue to blue-green; the color usually is more intense in larger stones, and darker blue stones are very valuable. This gemstone is mined mainly in Brazil but also is found in Nigeria, Madagascar, Zambia, Pakistan, and Mozambique. 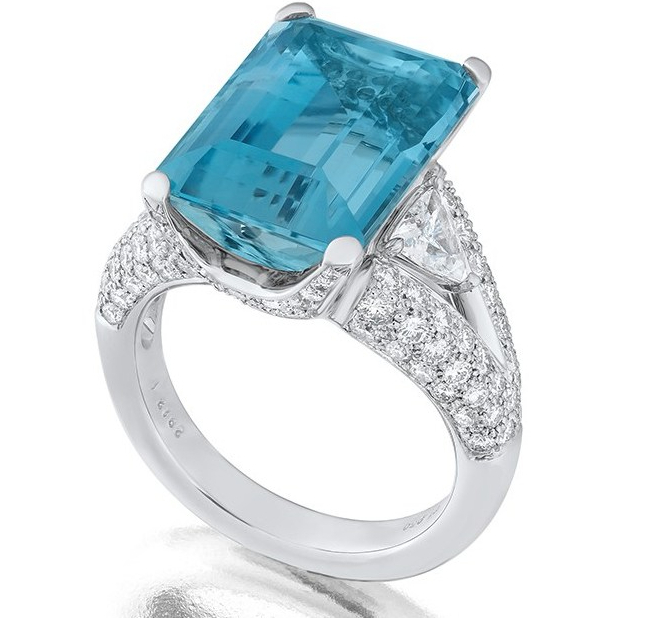 Aquamarine and diamond ring from Suna Bros.
Like emeralds, this gemstone is a variety of a mineral called beryl. Large stones have been found all over the world, including one stone found in Brazil that weighed over 240 pounds. Aquamarine grows in large, six-sided crystals that can be up to a foot long, making it a great gem to be cut and polished in larger carats for statement pieces. 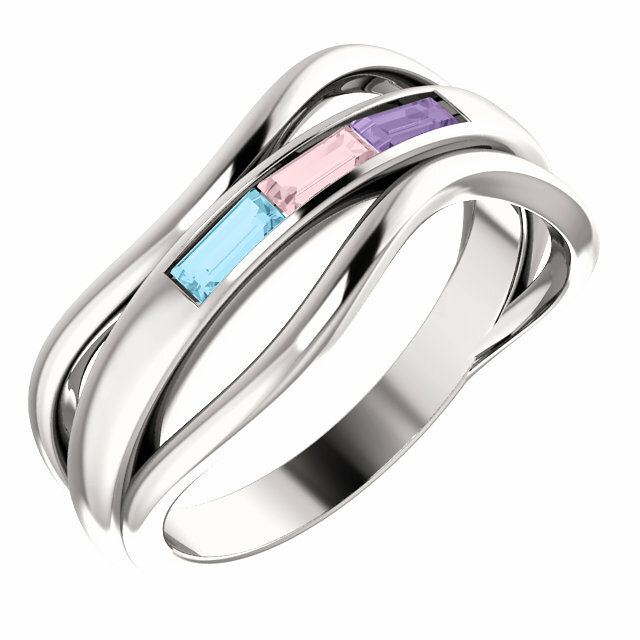 Not only is aquamarine one of the March birthstones, it’s also used to celebrate 19th wedding anniversaries. It’s a beautiful stone with little or no yellow in it, so it looks great in many settings with different colored metals and gemstones. 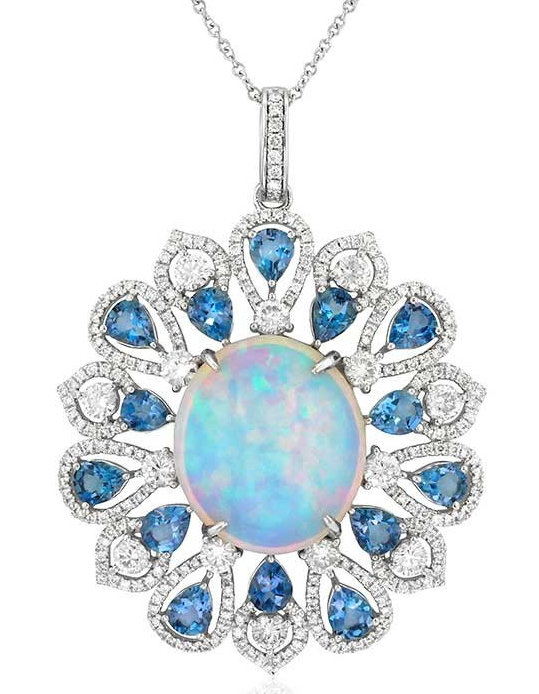 Opal pendant surrounded by aquamarine and diamonds. 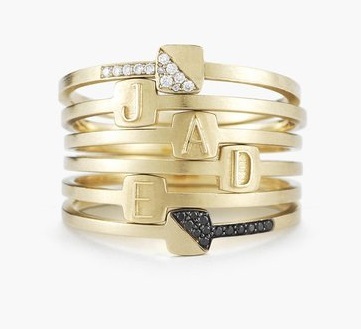 From Yael Designs. 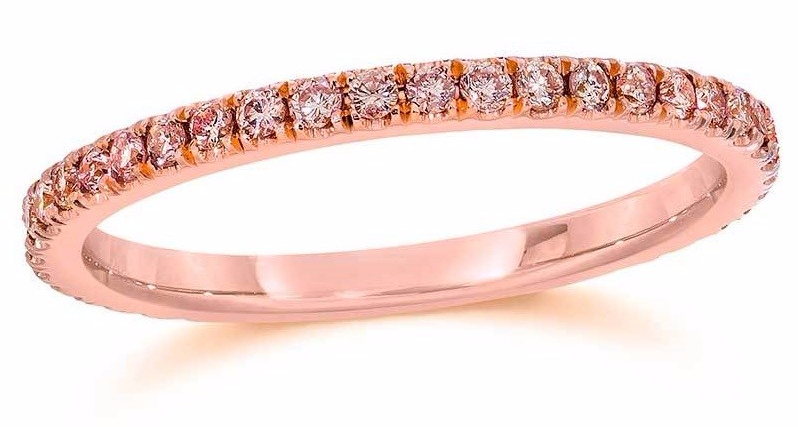 First, visit an AGS jeweler, who will be happy to help you pick out the perfect piece. Next, look at the stone’s cut. 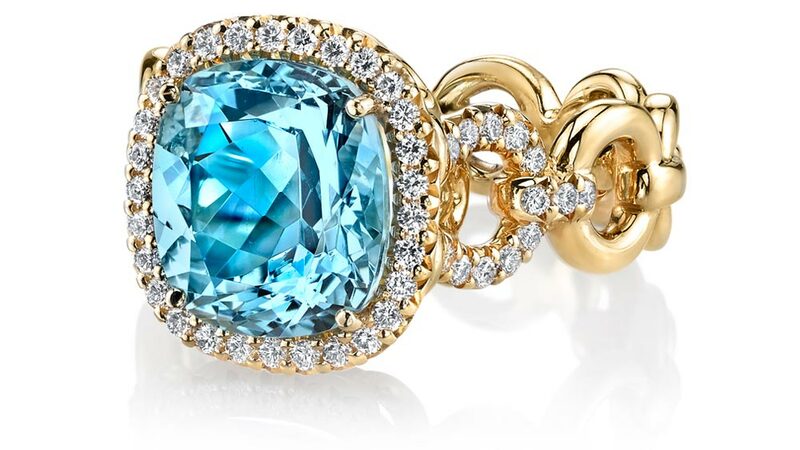 Since aquamarine can be very lightly colored (and sometimes appear almost colorless), the cut is very important to the overall appearance of the stone and how saturated, or even, the color appears. Of course, choose the color that most appeals to you, however, it’s generally accepted that lighter colored aquamarines are less valuable than the stronger, deeper hues of blue or blue-green. 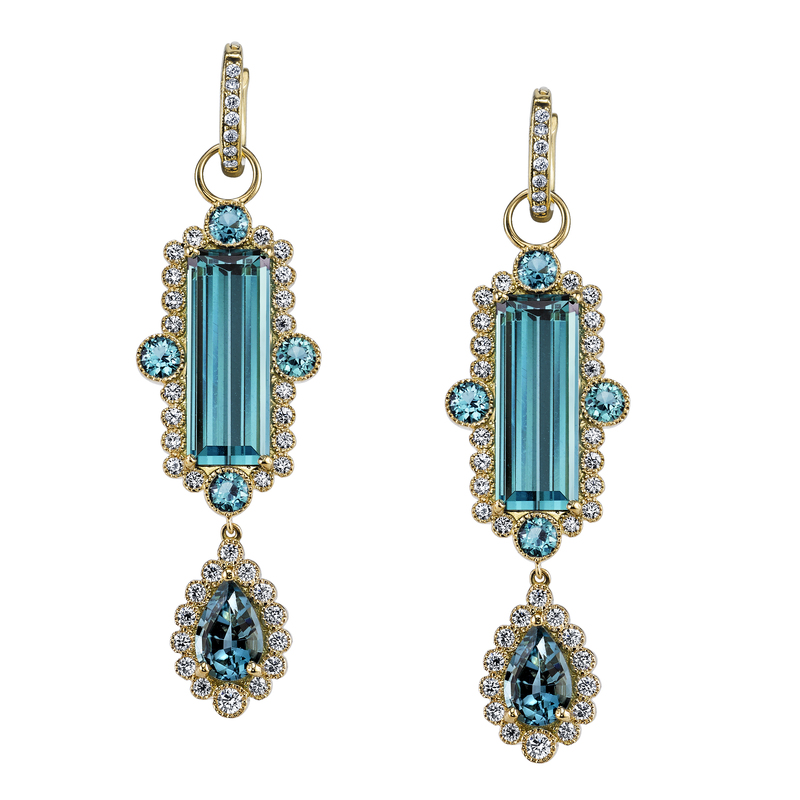 Aquamarine and diamonds in a gold setting. Next, take a look at the stone’s clarity. 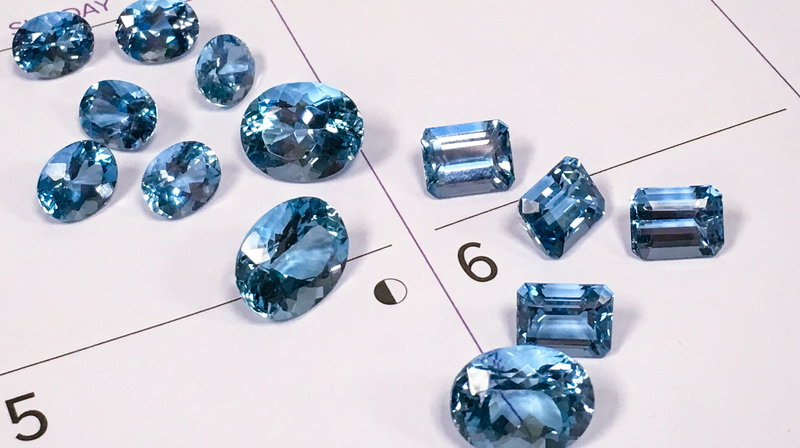 Most cut gems do not have inclusions that are visible to the eye, and some rarer or more expensive aquamarines are available without visible inclusions, as well. 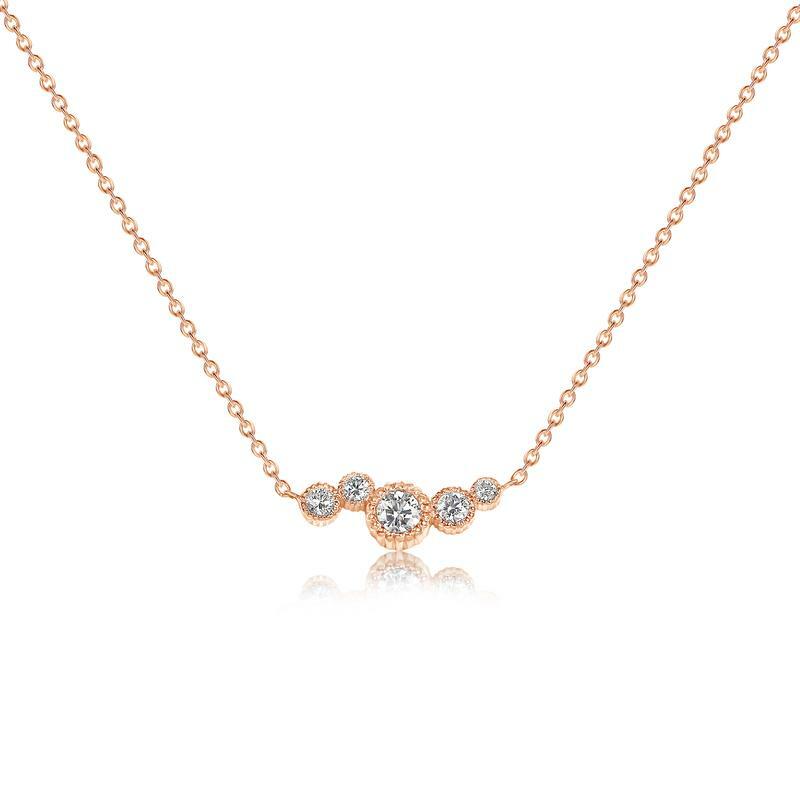 Since aquamarine crystals can grow to be quite large, larger cut gemstones are possible to purchase as a part of beautiful statement pieces. While you may not be looking to buy in that range, even smaller aquamarines make for lovely solitaires or companion jewels in larger pieces. Ready to see aquamarine up-close and in person? Find an AGS Jewler here. Just don’t forget to bring your jacket. . . or not. It’s March, after all. Who knows what the weather will be like? 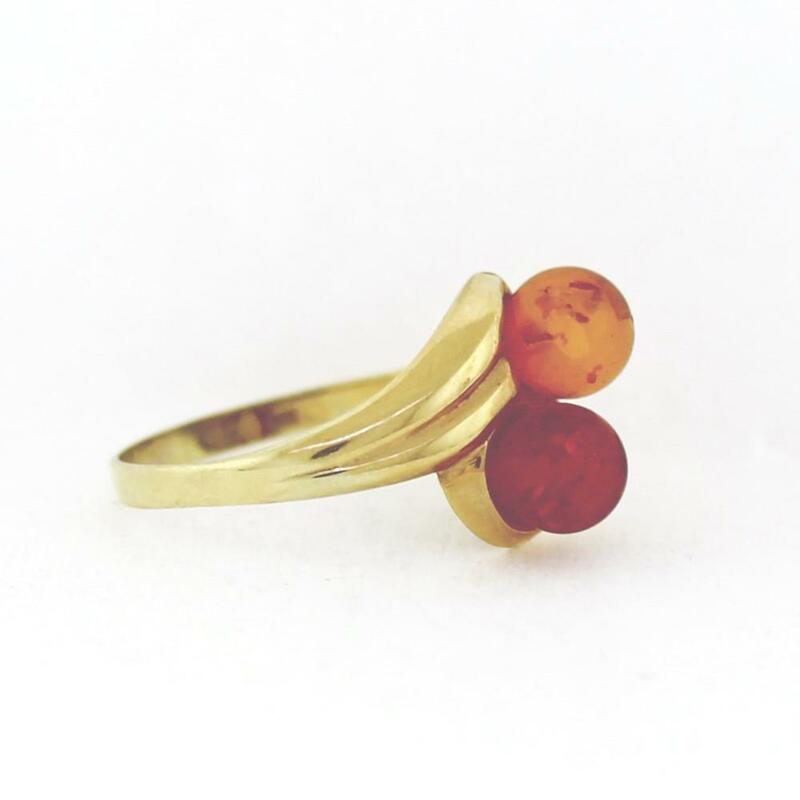 Not all gemstones are minerals with a crystalline structure. In fact, some were formed through biological processes of living organisms, such as plants and animals. These natural beauties are referred to as organic gemstones and include several varieties that are important to the gem trade. We’re talking about pearls, coral, amber, ammolite, and shell, just to name a few. 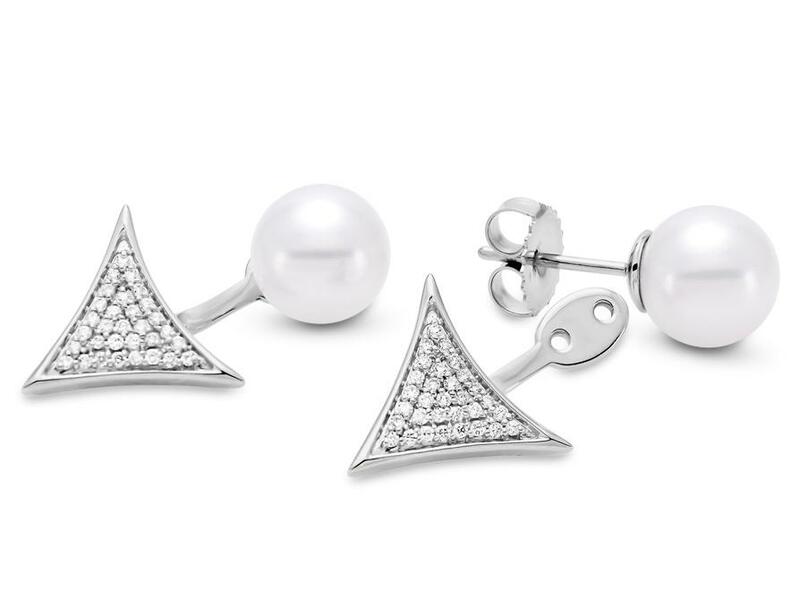 Pearls are pretty much perfect for any occasion. It doesn’t matter if you’re dressed in silks and satins or khakis and jeans, they go with everything! There are several types to choose from, like freshwater or saltwater, natural or cultured, with such varieties as Akoya, Keshi, South Sea, and Tahitian. 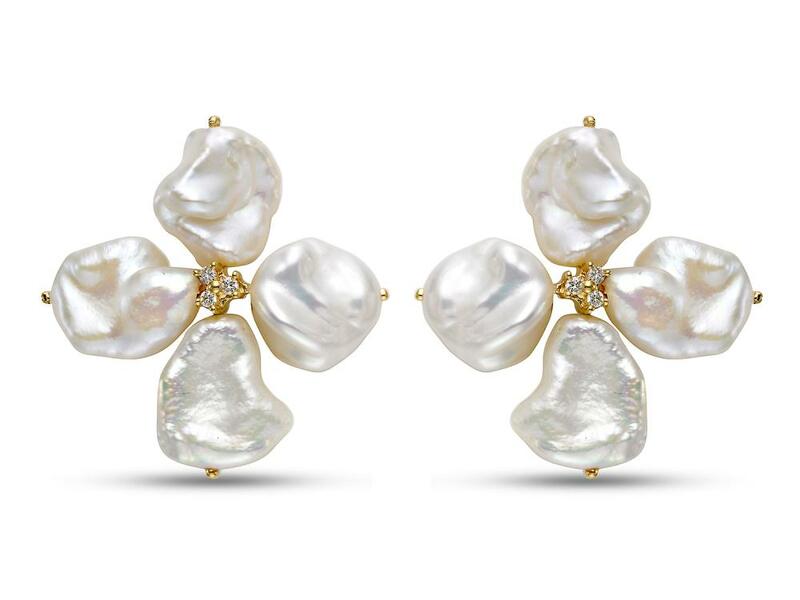 White Keshi freshwater pearl earrings with diamonds by Mastoloni. 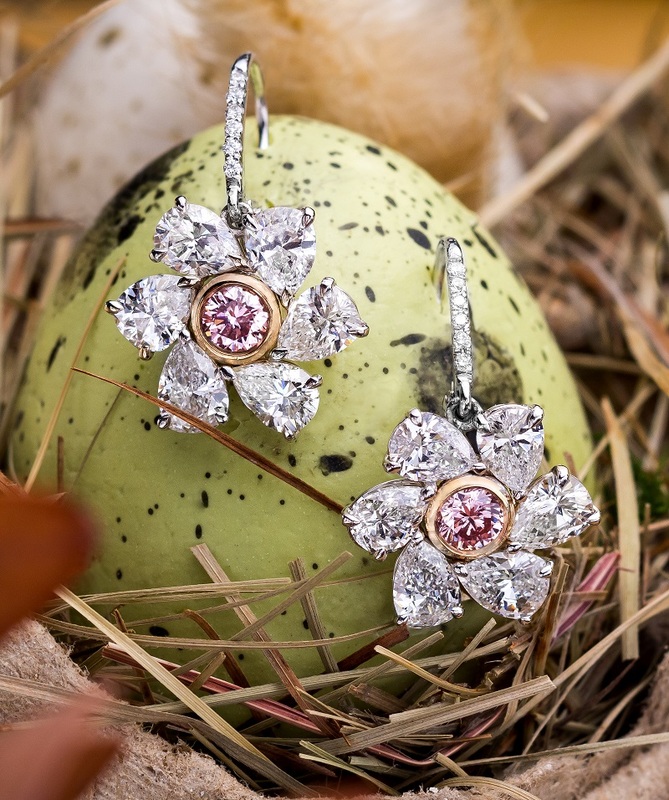 Tahitian drop earrings with cognac diamonds by ASBA USA. There are hundreds of species of coral throughout the world, but only a few are used for fine jewelry. Corallium japonicum and Corallium rubrum are two varieties of red coral commonly used to produce jewelry, and Antipatharia, a species of black coral prized for its lustrous, black appearance after polishing. 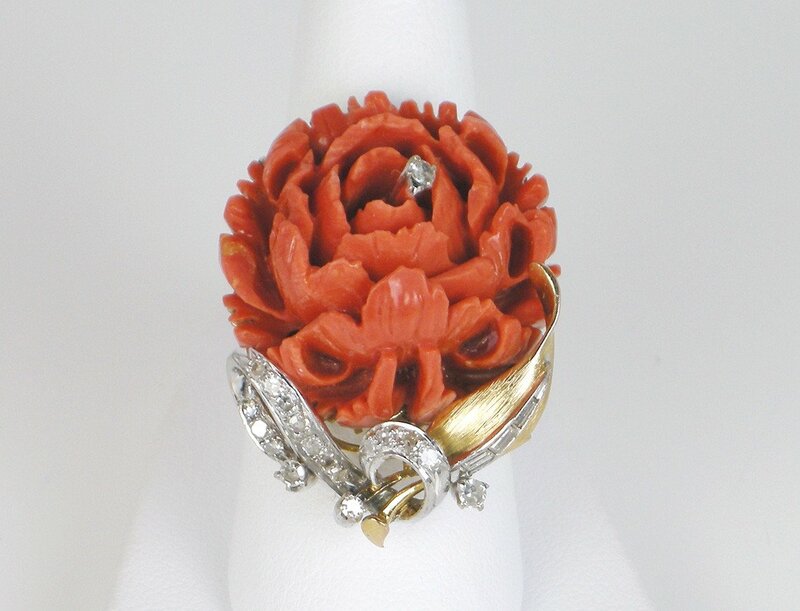 Carved salmon coral flower with a sprinkling of diamonds, from Gleim the Jeweler’s Estate collection. 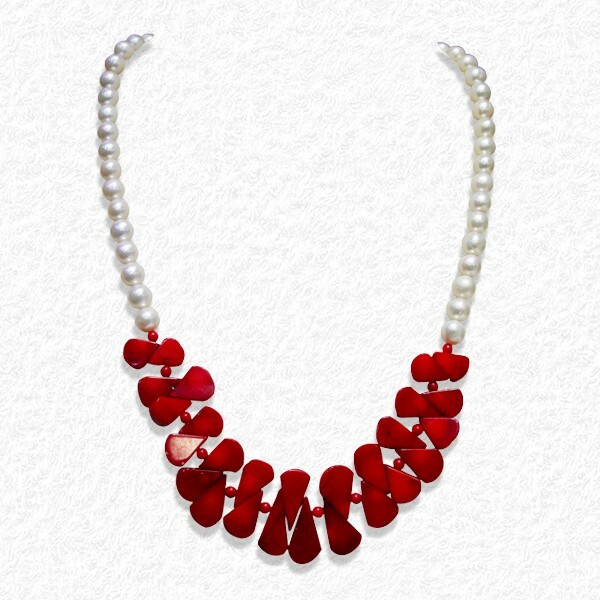 Coral and freshwater pearl “Pearl-On-Poppy” necklace by Sharon Wei. Amber had its moment in the spotlight when it appeared as a source for “Dino DNA” in the movie, Jurassic Park. This fossilized resin of ancient tree sap dates back 25 to 50 million years, with some of the oldest known material dating back 290 to 350 million years ago. Amber comes in over 300 different shades, with the most common colors being honey, green, cherry, cognac, citrine, and butterscotch. 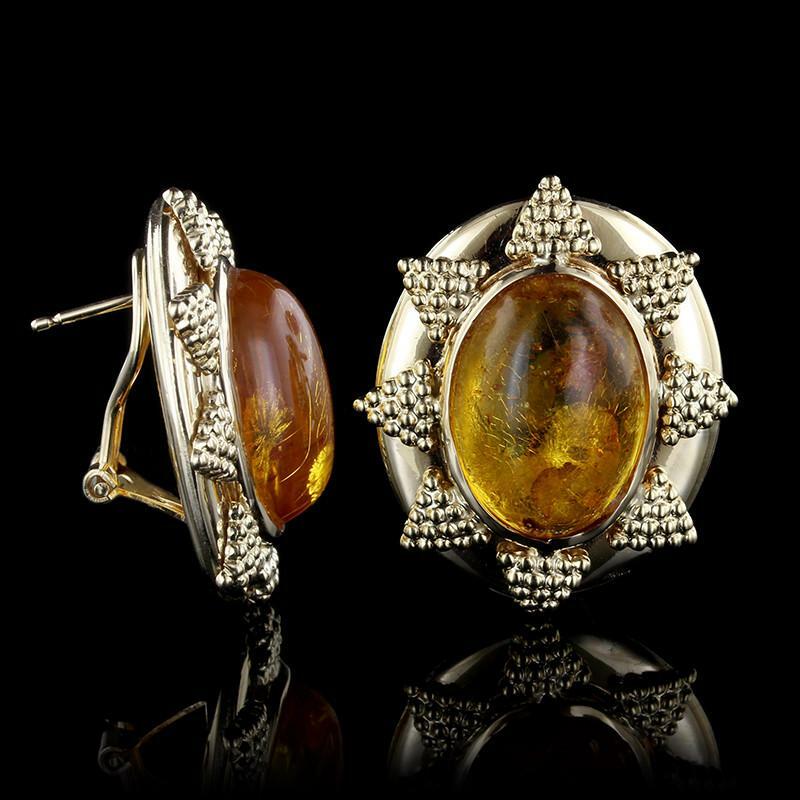 Cabochon amber earrings from Long’s Jewelers Estate collection. Amber beads from Goldstein Diamonds Estate collection. Ammolite is an iridescent gemstone material that comes from the fossilized shell of extinct squid-like creatures called ammonites. They only come from one place: Alberta, Canada. 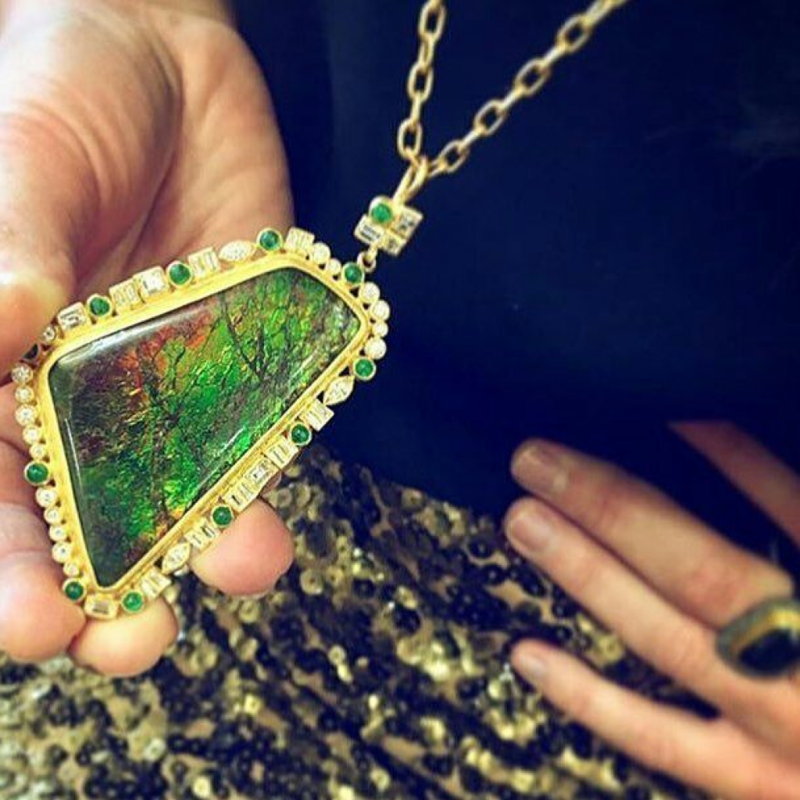 Although they have been forming for millions of years, ammolite first appeared in jewelry in the 1960s and was recognized in 1981 as an organic gemstone. 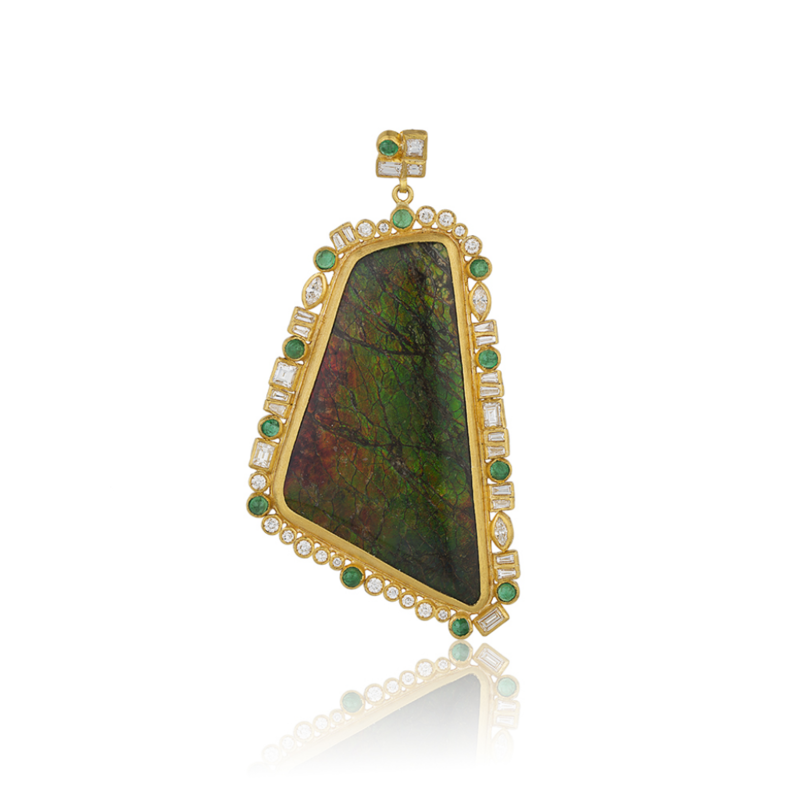 Ammolite, emerald, and diamond pendant by Lika Behar Collection. Another view of ammolite pendant. 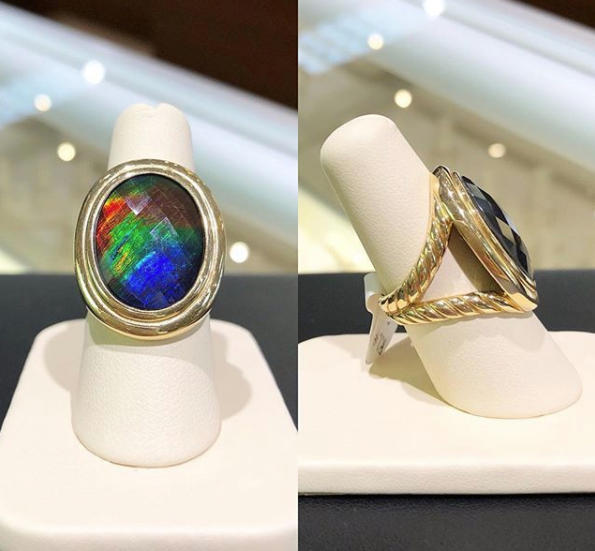 Ammolite estate ring at Bay Street Jewelers. Shell has been used for decorative purposes for centuries and was most likely the by-product of the search for food. 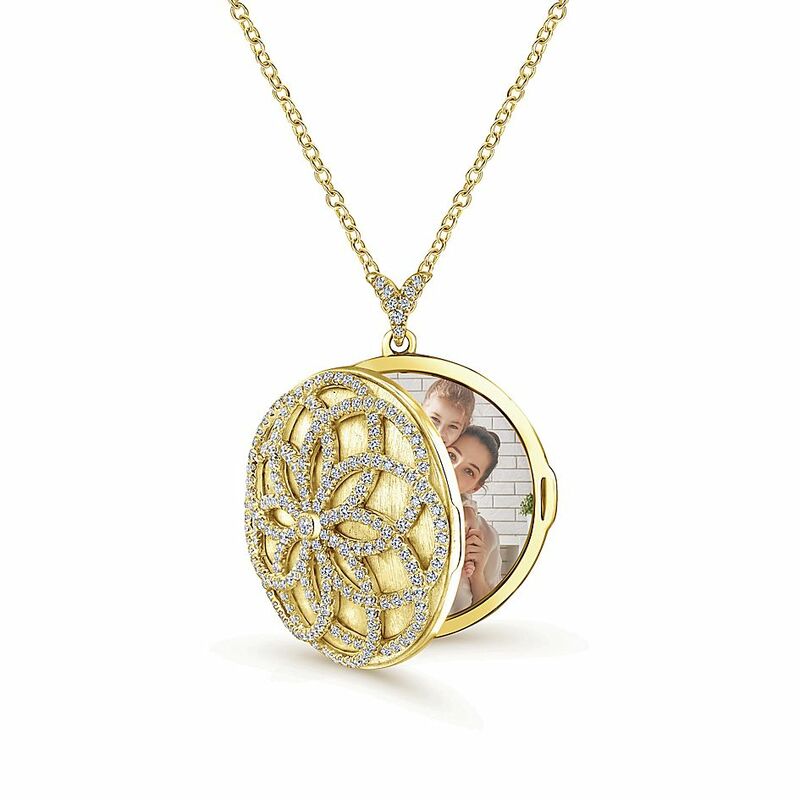 It’s been used for everything from buttons to knife handles, from cameos to necklaces. 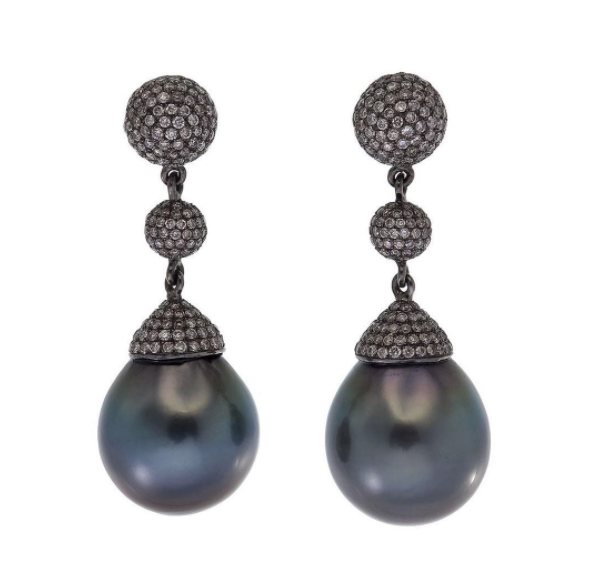 In jewelry design, the two most familiar types of shell are abalone and mother-of-pearl. 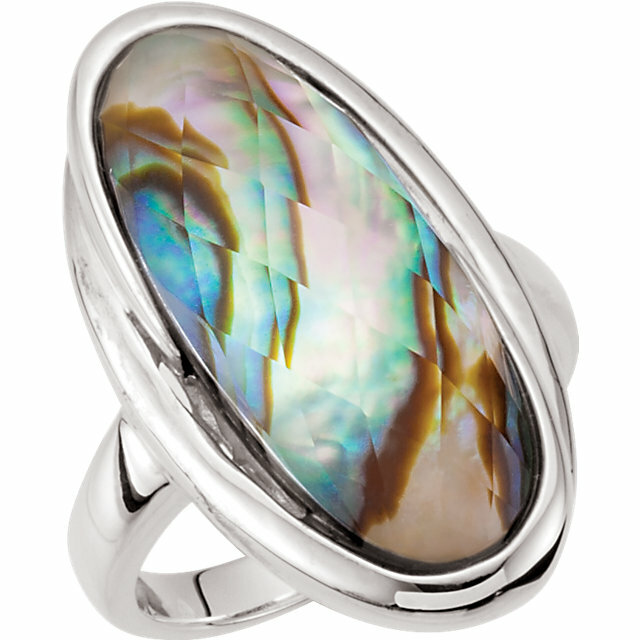 Interesting facts: Abalone is composed of mother-of-pearl. Mother-of-pearl is called nacre, which makes the outer layer of pearls. 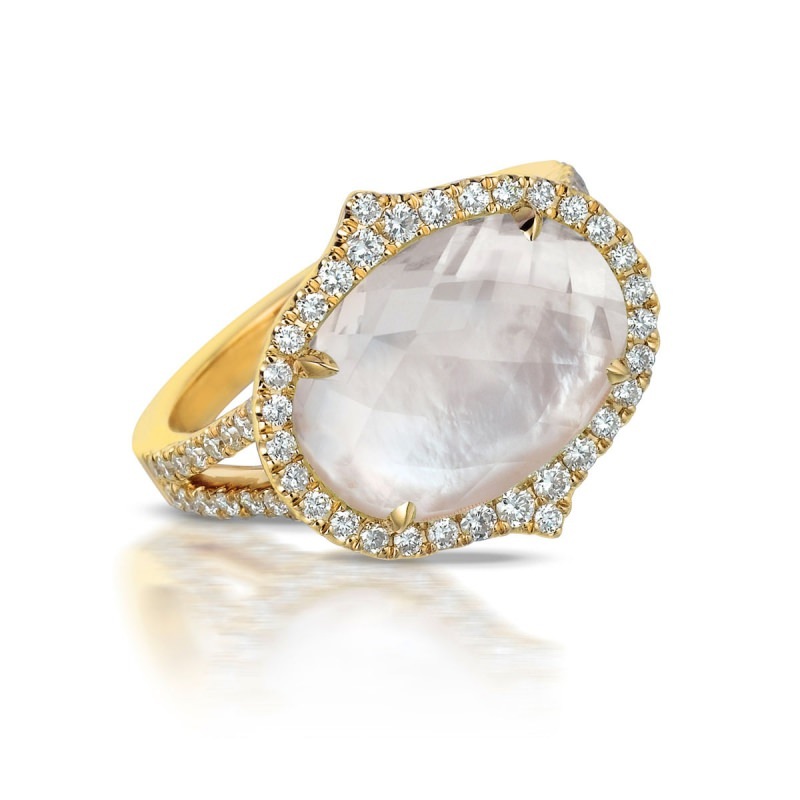 “White Orchid” ring featuring checker-cut clear quartz over white mother-of-pearl, from Doves by Doron Paloma. Abalone doublet ring with checkerboard white quartz by Stuller. 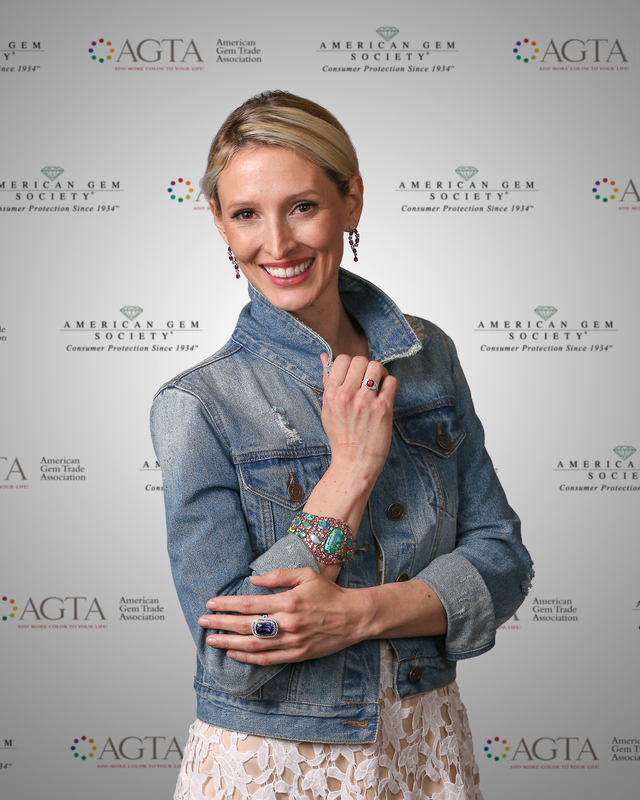 Visit an AGS-credentialed jeweler near you and ask them to show you some organic gemstones! “Gossip” emerald cut three stone rings by Goshwara. This wonderful quotation, by author Astrid Alauda, perfectly expresses the emotional connection that has been provided by colored gemstones for thousands of years. 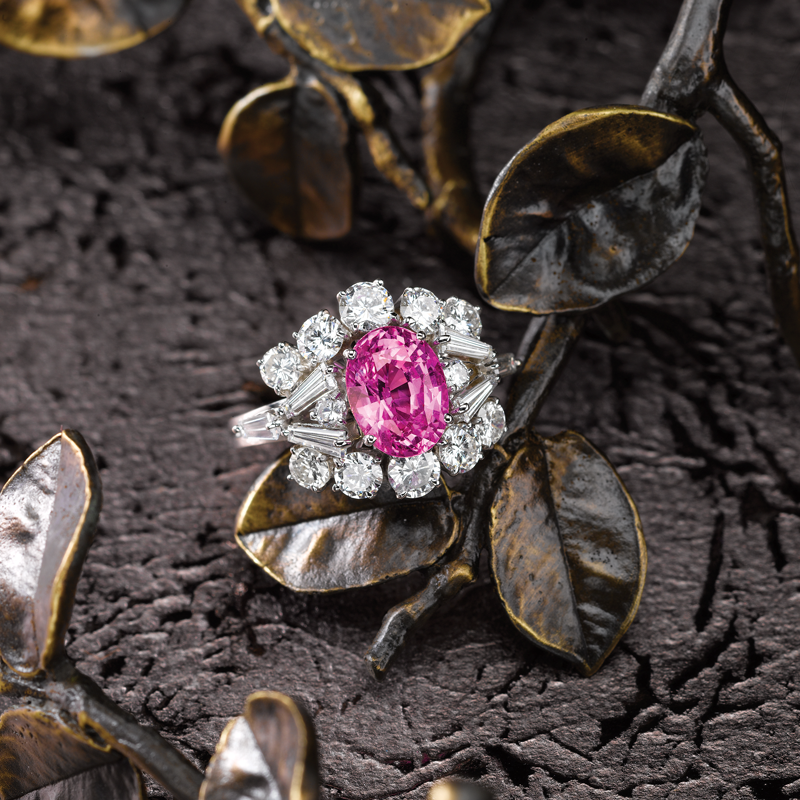 Fine colored gemstones have been revered throughout history. Gemstones have been imbued with the power to foretell events, strengthen memory, quicken intelligence, ensure purity, avert lightning, prevent intoxication, ensure happiness and are often equated to the fountain of youth. What Defines a Colored Gemstone? Colored gemstones are described as all the various gemstones except for diamonds. Only a select few of the vast number of minerals known qualify as gemstones. 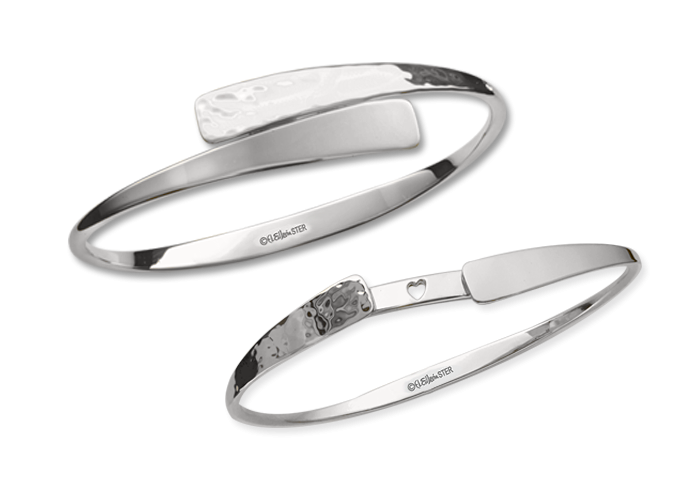 In order to become a gemstone, the mineral must be rare and beautiful and be durable enough to be worn as jewelry. Blue sapphire ring by AG Gems. In the past, the term “precious” was used to describe diamond, emerald, ruby, and sapphire. The term “semi-precious” referred to all other gemstones. 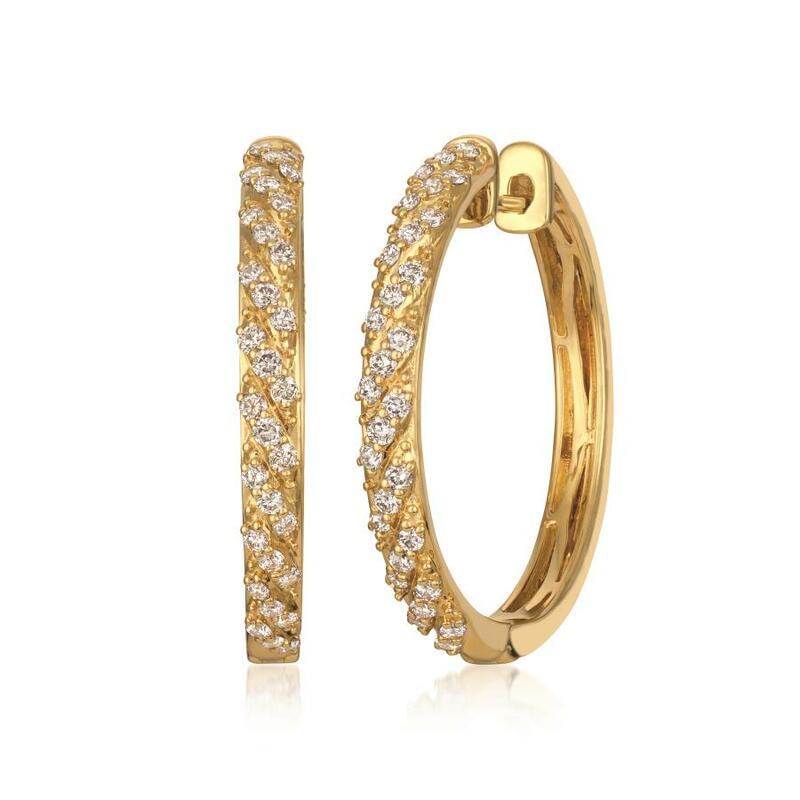 Today, most jewelers and gemologists agree that these terms no longer accurately reflect the true value of these gems. In particular, some species of colored gems, such as alexandrite or demantoid garnet, are so rare that they have been known to command prices exceeding those of emerald, ruby, and even diamonds. 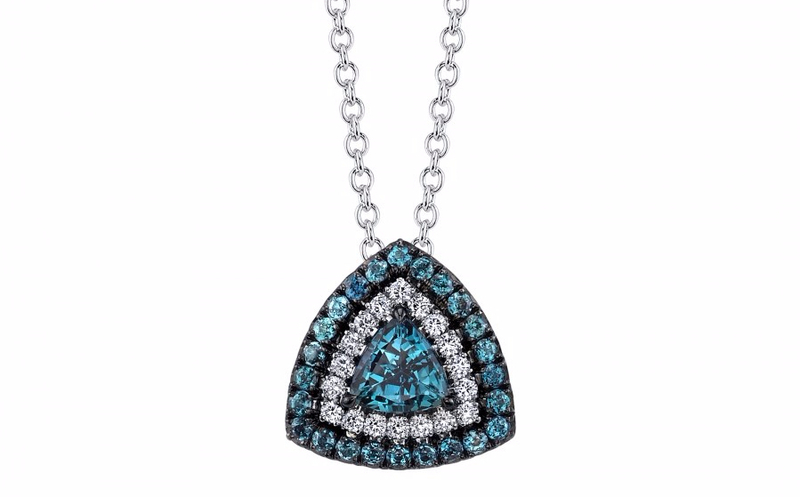 Alexandrite and diamond pendant by Omi Privé. 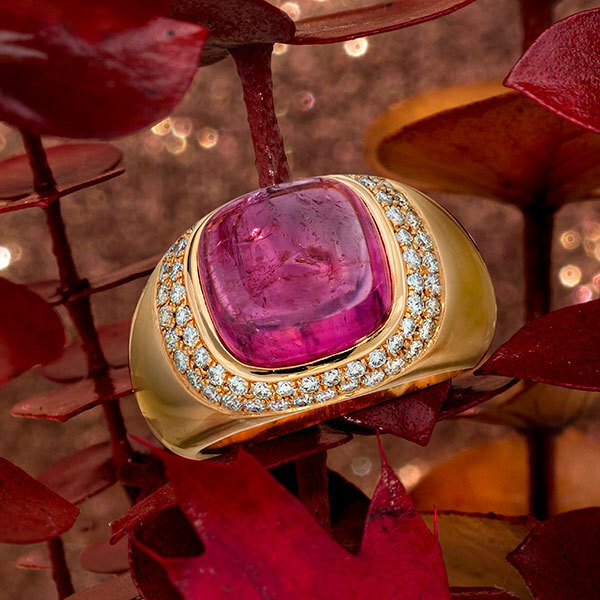 Color is the single most important deciding factor in determining the value of a gemstone, followed by the cut. 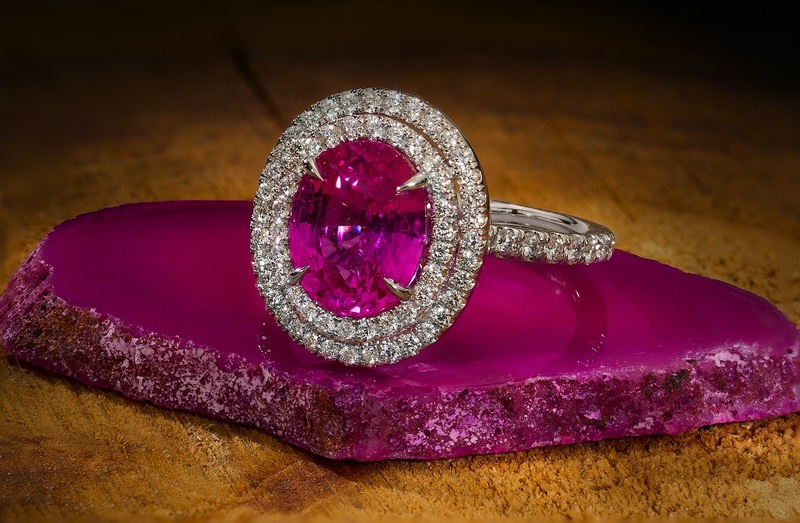 The cut of a gemstone is designed to bring out the best possible color or colors in the rough uncut material while retaining as much weight as possible. 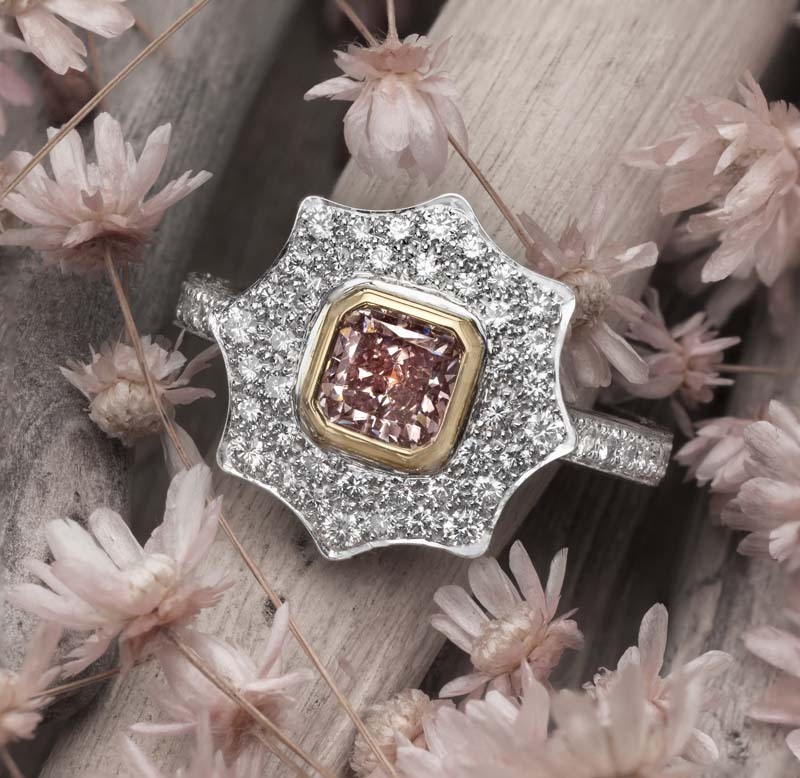 The color in a fine gem is saturated evenly throughout the stone and is of a brilliant deep, rich, and pleasing color—not too dark and not too light. Indicolite earrings by Erica Courtney. Each variety of colored gemstone has a range of highly prized colors that have evolved over the years. Many of these colors are tied to historical sources such as “Burmese” rubies from Burma, “Kashmir” sapphires from India, and “Persian” turquoise. This is by no means a sure bet. Not all rubies from Burma have the “Burmese” signature color and furthermore, you may find a fine color from a ruby that was mined in Thailand. 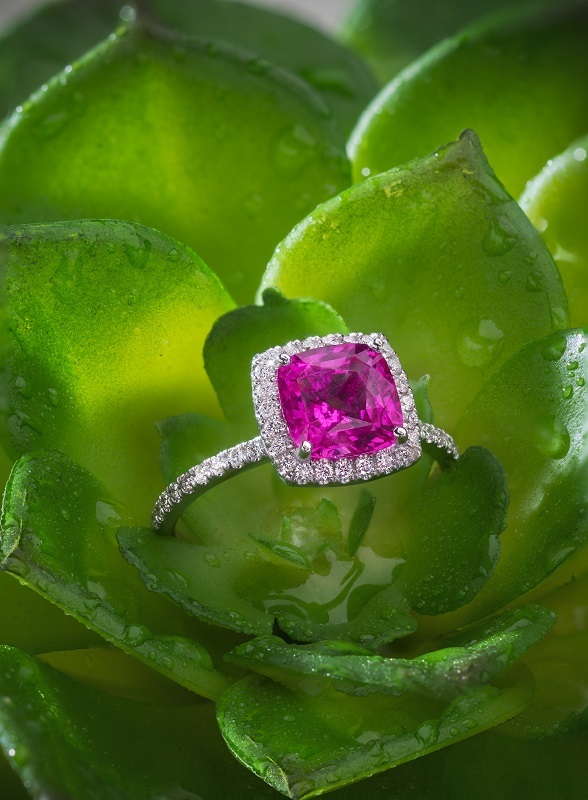 Cushion cut Mozambican Ruby ring by Real Gems Inc. Ultimately the wearer decides what color speaks to them, keeping in mind that this may not be that color defined as being the most valuable. Since we all perceive color differently it’s ultimately a very personal choice. 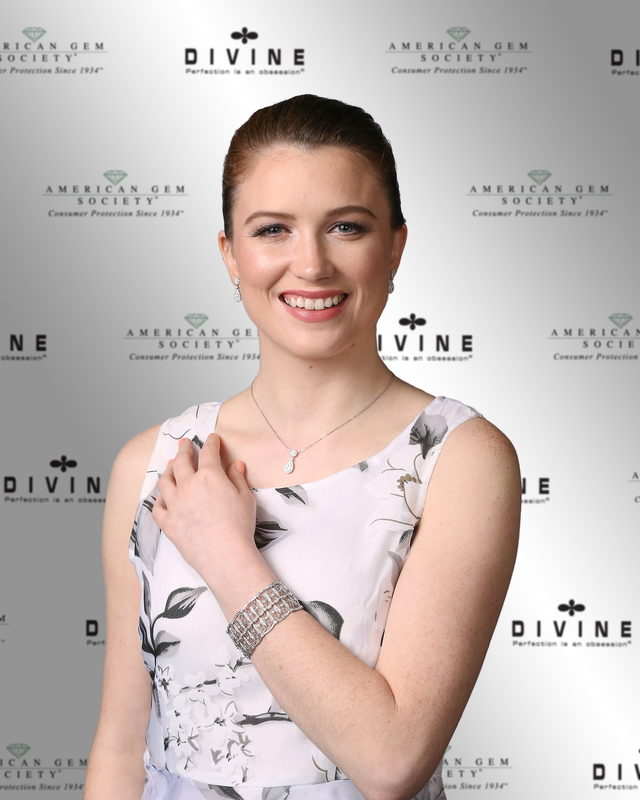 Today, with the ever-increasing advances in gemstone enhancements and synthetic gemstone production, it is more important than ever to work with a reputable and properly trained jeweler. 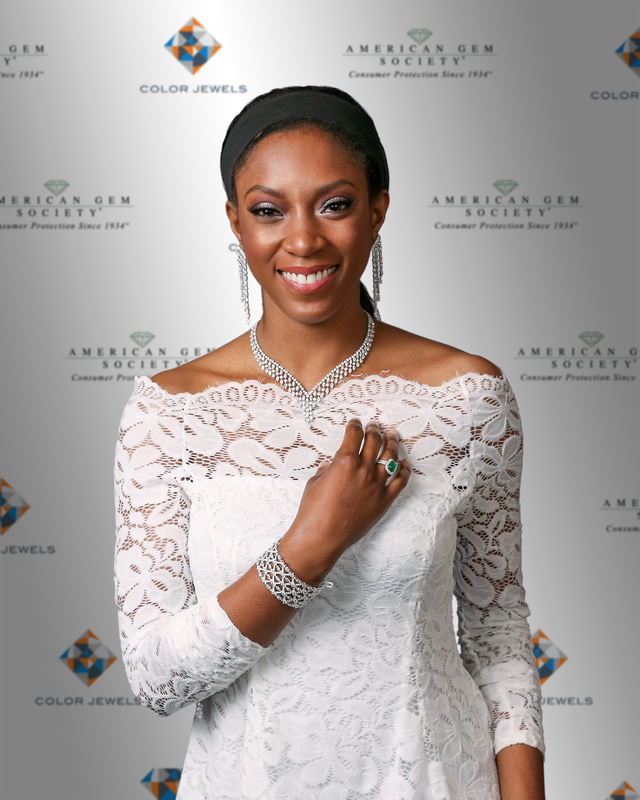 We have been serving the Peninsula since 1931 and have been members of the American Gem Society (AGS) since 1954. Our membership with the AGS assures you that we earn and maintain the education necessary to provide you with the most up to date information about gems and their different markets. We also have American Gem Society Accredited Gem Laboratories, assuring you that we have the proper instruments to identify and grade gems. 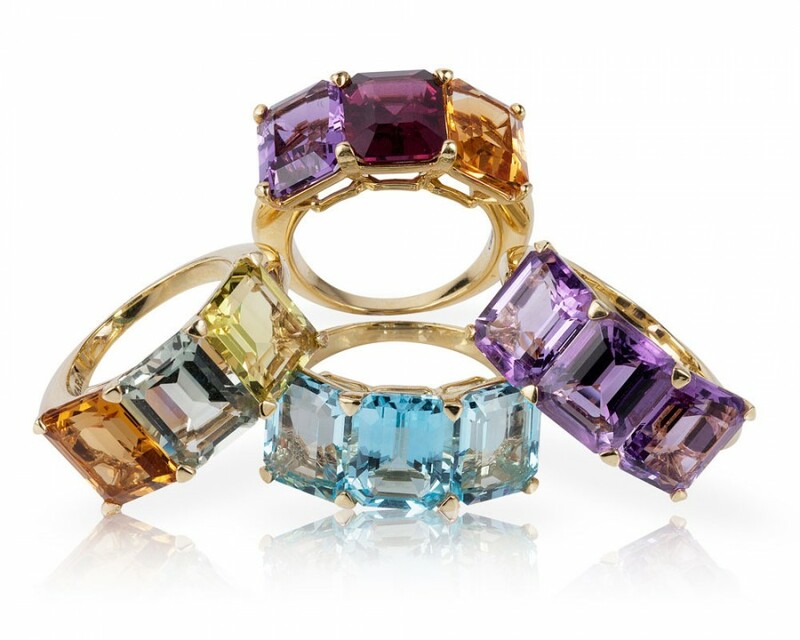 And, what’s perhaps most important, we love colored gems!